It’s no April Fool’s joke – glass bottle milk deliveries are set to return to Wairarapa from April 1. 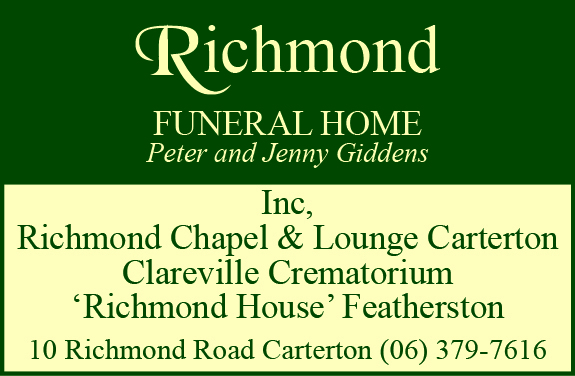 Pip and Steve Olds of Eketahuna Country Meats own a 140-hectare property north of the Tararua township where they farm Angus cattle, red deer, and sheep, which supply their butchery business. For the past five years, the Eketahuna couple’s green Land Rover has been a weekend icon at the Wellington Harbourside and Lower Hutt Riverbank markets, where they are best known for their array of Wairarapa-grown and butchered meats. Steve Olds said the couple started the venture to ensure more regular and sustainable pricing for the meat they produce on their farm. Nationally, he estimates they sell to about 3000 to 4000 customers, most who buy in bulk or on a monthly basis. The business has gone from strength to strength and they now have three full-time workers at their butchery in Bentley St, Masterton. In recent months, whole milk has been added to the product range. They first started looking at including milk in their deliveries in August last year as they knew there was demand for it. “People wanted milk in glass bottles,” he said. The milk is sourced from a neighbouring dairy couple, Grant and Charlotte Bennett, who have about 400 cows. Most of the herd produces A2 milk – milk that is high in A2 beta-casein proteins – but it’s not marketed as such. “We’ve found a lot of lactose intolerant people can drink it,” Olds said. The couple bought a pasteuriser from Christchurch last year and have been selling milk direct from their store. People can grab their fill using glass bottles sourced from Wellington and available for purchase at $4 each. More than 100 people stop by each week to refill one or two of the bottles with milk going for $3 a litre – payments can be made online or in-store. Olds said the pasteurised whole milk has a great taste and his three children love it. He said a lot of people were surprised by the quality and flavour of the unhomogenised milk. “There are a lot of people who can’t get over how good it tastes compared to ‘normal’ milk – but this is what normal milk tastes like, this is the norm. The home deliveries will be done as a swap bottle system, with empties swapped for full bottles. Empty bottles will then be taken back to the milk factory to be washed, sterilised and refilled. It’s about having better control over the distribution process, Olds said. He expects they’ll make weekly milk deliveries to around 2000 to 3000 people. “I’ll know more in a few weeks,” he said. The most northern delivery point will be Levin, with the delivery area running south along the Kapiti Coast to Wellington and throughout Wairarapa. 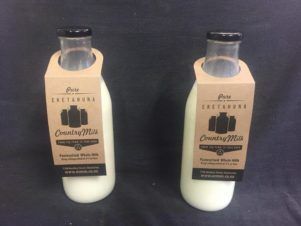 At $3.80 a litre for home deliveries [plus delivery fees], Olds said their milk may seem more expensive than store-bought milk but not when compared with similar brands like Puhoi Valley and Lewis Road Creamery. Demand from customers for farm fresh milk was about closing the gap between urban and rural communities, and reducing plastic consumption, he said. 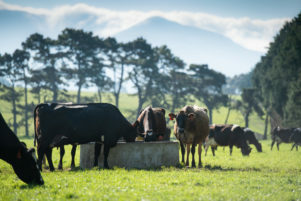 Olds acknowledged that many farmers feel there is a growing divide in New Zealand’s population, but said many of his customers asked questions about where their protein was sourced. “There are a lot of people that are interested. He said consumers were also more conscious about their impact on the environment and using glass bottles just made sense. It was encouraging for him to see a new dairy set-up on a Country Calendar episode – a Nelson dairy family also offering glass-bottle home deliveries and vending machine refills throughout the region. 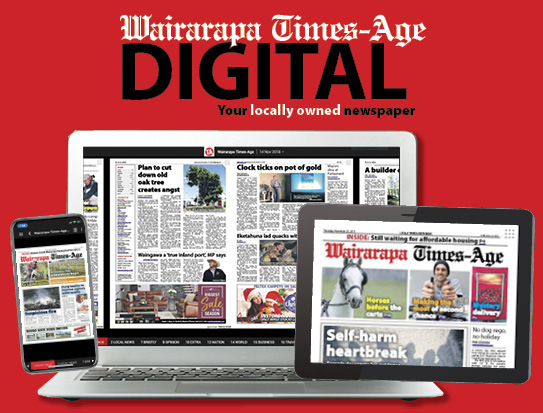 “It was encouraging to see that it had been successful in another region of a similar size to Wairarapa,” he said. On-site refills are available for $3 a litre plus the initial $4 bottle purchase.